Xiaomi launched the all new successor to Redmi 4A that was launched last year. The Redmi 5A was launched at an event in China on Monday. Xiaomi launched the all new successor to Redmi 4A that was launched last year. The Redmi 5A was launched at an event in China on Monday. The new device lives up to the expectation of its precursor in terms of budget and has even exceeded few in terms of specifications. Redmi 5A has already gone on sale in China and is expected to hit Indian shores soon. Redmi 4A was launched at a price of Rs 5,999 and the the current generation might also be priced similarly. At the launch event in China, the device launched with a price tag of CNY599 (Rs 5,900). The Redmi 5A is equipped with a Qualcomm Snapdragon 425 quad-core chipset clocked at 1.4GHz. The processor is paired with 2GB RAM and 16GB internal storage. In terms of design, the device looks similar to the previous iteration but this time around the company has used a metal body instead of polycarbonate that was used last time. Unlike the Redmi 4A, Redmi 5A's antenna lines have been pushed to the edges of the device, giving it a clean look altogether. The primary camera sports a 13 Megapixel sensor with an aperture of f/2.2. The camera comes with common features like HDR mode, panaroma mode and burst mode. For the front camera, the device will use a 5Megapixel sensor with an f/2.0 aperture. The device sports a 5-inch display with a resolution of 1280x720. The company has chosen to skip the fingerprint sensor. Xiaomi also place a hybrid SIM tray which can either store two SIMs or one SIM and one MicroSD card. Below the screen is the usual array of capacitive touch buttons - for recent, home and back. One of the biggest USP's of the previous Redmi 4A was its lasting battery and this time the company claims to have radically improved on that end. 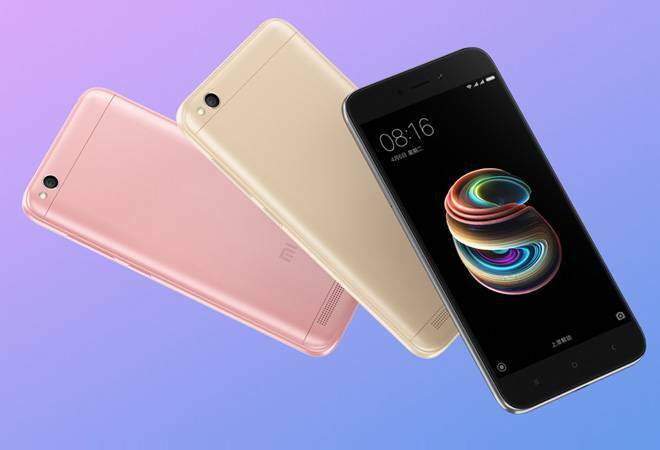 Xiaomi claims that the Redmi 5A can give a battery-life of eight days. However, the device sports a smaller 3000mAh battery. On the software front, the device will feature a MIUI 9 based on Android Nougat. Despite the use of metal, the company has managed to limit the weight to 13 grams. Xiaomi Redmi 5A comes with 4G, WiFi with WiFi Direct, Bluetooth 4.1, and GPS support.